Here’s a fun piece on Parenting.com where visitors can build an outfit from a selection of JC Penney clothes and submit the outfit to a contest. The piece is set up so Parenting.com can very easily replace all the clothing choices at any time by uploading new images. 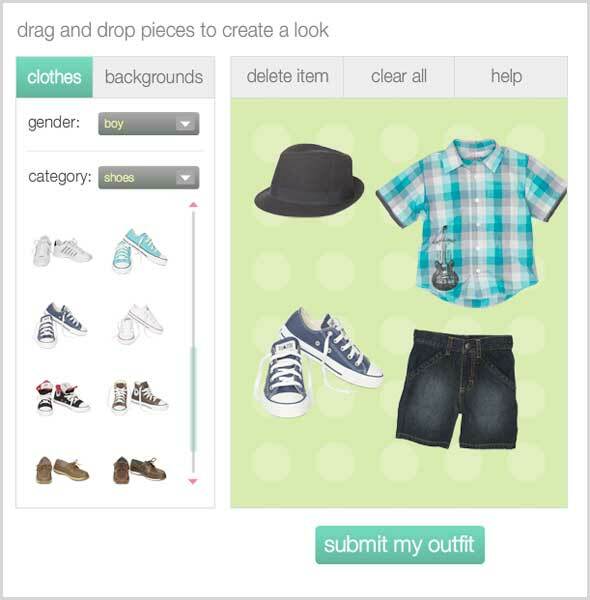 The user’s outfit is converted to a jpg file and uploaded to the server. Over 6,000 outfits were created after just 2 months online. Solarsilk and Parenting.com won a Min 2010 Integrated Marketing Award in the Total Integrated Program category for this work. We’re super psyched about the win, and thank our partner Bonnier / Parenting.com for involving Solarsilk in the award-winning effort!